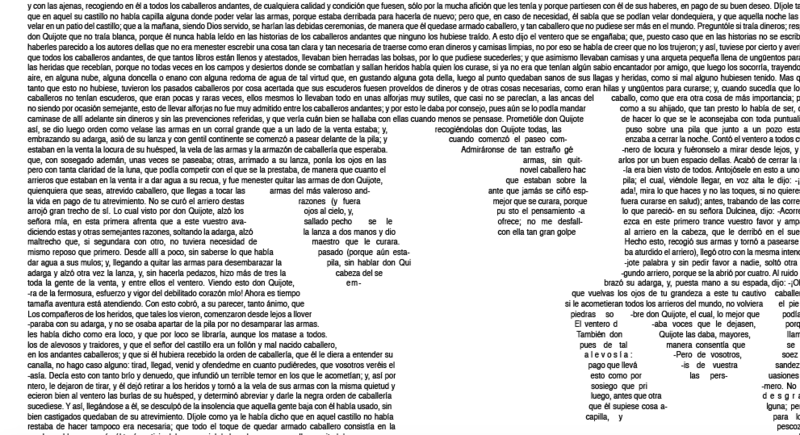 This 24”x18″ book poster contains up to Chapter 25 of the Spanish-language version of Don Quijote by Miguel de Cervantes Saavedra. 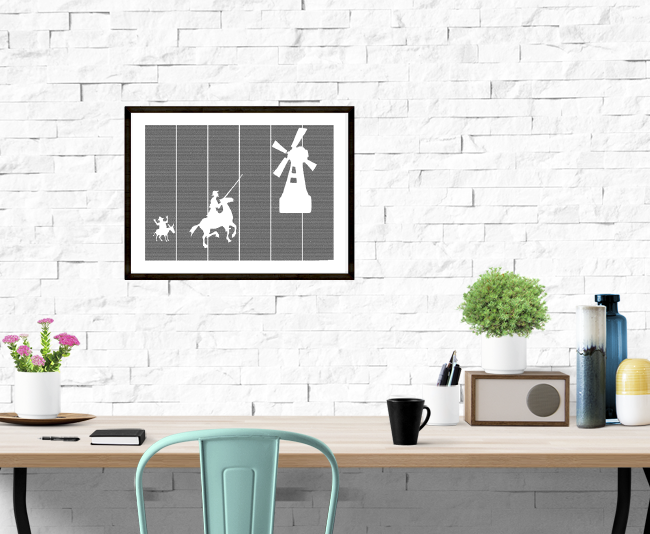 Here, Don Quijote charges a windmill while his companion Sancho Panza looks on in comic horror. 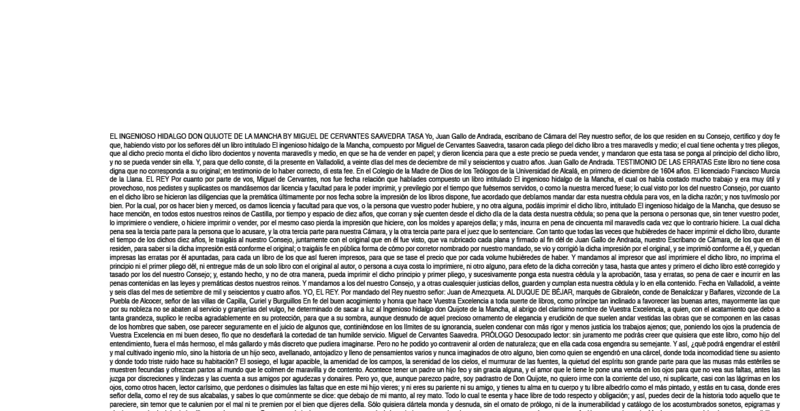 Originally published from 1605 to 1615 in Spain as El ingenioso hidalgo don Quijote de la Mancha, Don Quijote follows the escapades of the titular character, an unknown hidalgo who has read too many epics of chivalry and decides to himself become a knight. 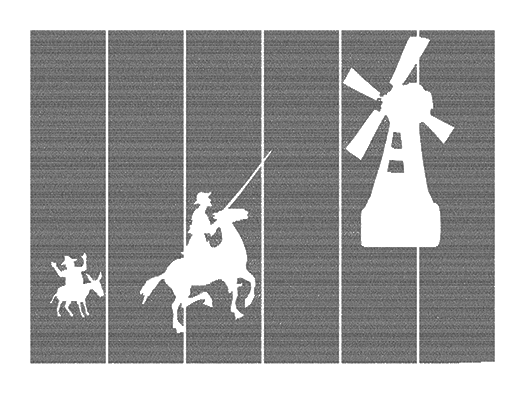 Joined by his overweight farmer companion Sancho Panza and tired horse Rocinante, the tall and skinny Don Quijote embarks on adventures across the country and becomes more and more entangled in his fantasy of knighthood. 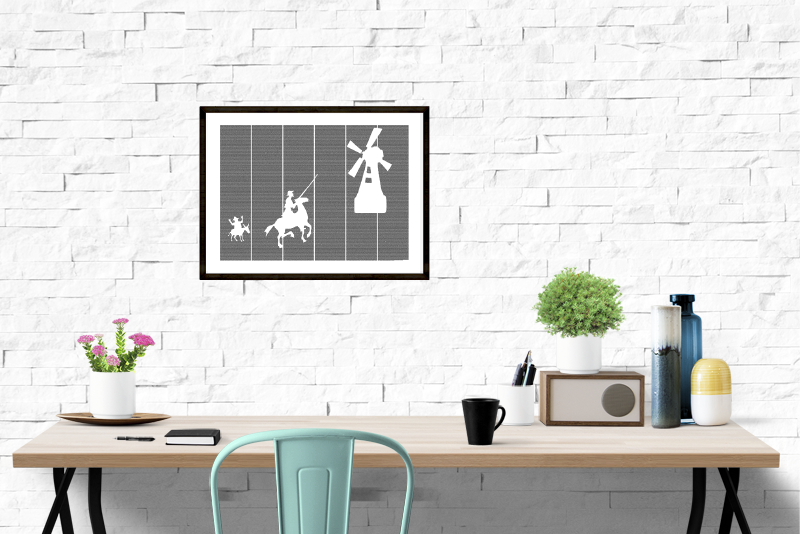 Often named as one of the most influential books of all time, Don Quijote is a brilliant work of satire that examines the elusive line between fantasy and reality.